PLEASE NOTE THAT THE WEBATHON TOOK PLACE IN SEPTEMBER 2017 AND THE WEBINARS ARE NO LONGER AVAILABLE! The world’s top trainers and speakers for Assistants, sharing their knowledge! On the weekend of 22 – 24 September 2017, the greatest lineup of speakers and trainers ever assembled in one place will come together to raise money to help Vickie Sokol Evans. 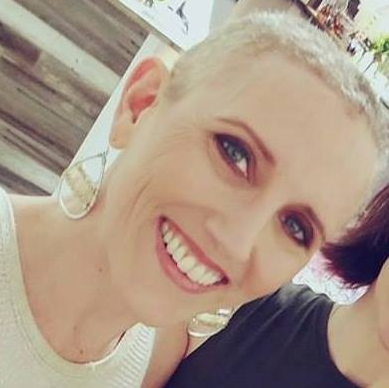 The profession has been shaken by the news that Vickie Sokol Evans, the world’s leading Microsoft trainer, has been diagnosed with stage two breast cancer and is currently undergoing chemotherapy prior to surgery. She felt nothing. She was a little more tired than usual but with her schedule that was unsurprising. We are told to check regularly for lumps and go to the doctors if we notice anything out of the ordinary but she felt nothing and had three tumours. The good news is that it is curable but she will be out of action for some time. She urges you all to go get screened regularly. It’s a timely reminder that we need to make time for self-care. Treatment of the kind that she needs is fiercely expensive in the USA, but it is imperative to her recovery that she is worrying only about getting well and not about where she will find the money from. To this end, I recently wrote to all the leaders of our profession as I boarded a plane from Phoenix to New York asking for help and over 50 of them replied before I landed asking ‘What do you need us to do?’ It is a great testament to who Vickie is that the profession has rallied around as they have and I have to admit to shedding a few tears in JFK airport at the generosity of spirit that our community has. So from Friday 22 to Sunday 24 September, we will be running an online webathon to raise money for Vickie Sokol Evans. It will feature the greatest line up of trainers for assistants ever assembled in one place and will cost you only $49 for a weekend pass to see as much or as little as you like. Haydee Antezana, Impression Management Specialist – First Impressions in a Distraction World. Richard Arnott, BA, FInstAM, FITOL, author & lead trainer of ACEPA/ACEA – Project Management Basics. Heather Baker, World Class Trainer, Bestselling Author & Creator of the Bakerwrite Speedwriting System – BakerWrite Speedwriting. Laura Belgrado, International Trainer & EA to the President and VP, Mars Multisales – Resilience. Diana Brandl, Senior EA, Blogger, The Socialista Projects – #WeAreInThisTogether – join your peers! 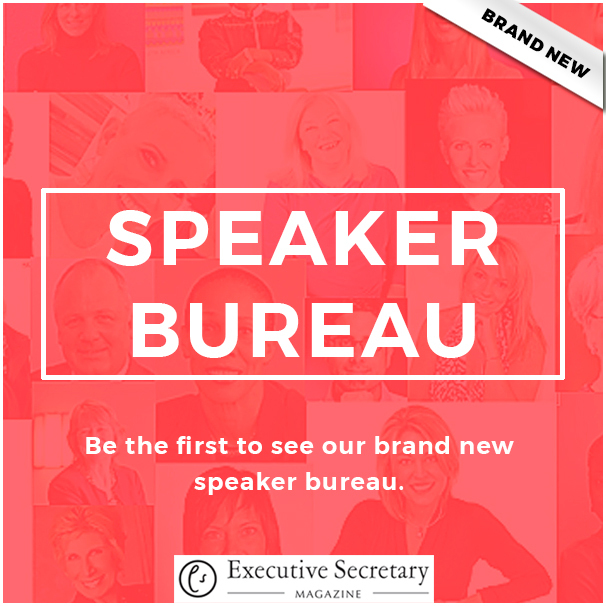 Lucy Brazier, Publisher, Executive Secretary Magazine – Lucy will be your host & moderator for the weekend. She will also present The Modern Day Assistant as a Strategic Business Partner and has conducted a number of the interviews taking place over the weekend. Gretchen Breuner, Founder, Speaker Training System – How to Attract New Clients and Make More Money in your VA Business. Joan Burge, Founder & CEO, Office Dynamics International – Create Your Career Portfolio. Ayanna Castro, Founder and Chief Maven, Work your Package – Your Life, Your Story: What To Do When You Have A Story To Share. Courtney Clark, Keynote Speaker & Accelerated Resilience Expert – Be Frustration-Proof, Tools to Manage Your Frustration. Samantha Cox, Director of VIP Services, Seminole Gaming & Former Executive Assistant to Sir Richard Branson – Lucy Brazier interviews Samantha Cox. Danielle De Wulf, Project Lead Group Admin, Janssen Pharmaceutical & International Speaker – How to set up a successful internal Admin Network in your company. Shelagh Donnelly, International Speaker & Publisher of Exceptional EA – Finding Your Voice: Public Speaking and More. Melissa Esquibel, MCT, President, MPELLC, MOS Master, Certified Excel Expert, Webinar Presenter, Content Writer – Managing Projects with Outlook and Excel. Kemetia Foley, Coordinator, Research at American Staffing Association, Admin Renegade & International speaker – An Overview of Adobe Spark. Sue France, International Motivational Speaker for Assistants & Bestselling Author – Neuroscience: Making sense of science for powerful brain efficiency. Sandy Geroux, International Leadership Expert – The Admin’s Guide to Leading Without Rank and Maximizing Your Value. Donna Gilliland, Social Marketing & Microsoft Office Educator, MOSTraining – Twitter for Administrative Professionals. Debbie Gross, CEA at Cisco Systems, International Speaker – Be A Game Changer – Mastering Your Executive’s Calendar and Their Time. Cathy Harris, Executive PA, Author, Mentor & Coach, Facilitator and Ambassador for the secretarial profession. Internal Assistant Networks Strategist – Life Balance. Marie Herman, CEO at MRH Enterprises – Field Codes in Microsoft Word. Ann Hiatt, Executive Business Partner & Chief of Staff at Google – Lucy Brazier interviews Ann Hiatt. Dr Corinne Hoisington, Professor at Central VA Community College, Computer Software Consultant, Keynote Event Speaker – #CuttingEdge 10 Top Apps for Admin Productivity. Amanda Johnson, Virtual Assistant Coach, Trainer & Mentor. Voted Best VA Training Provider 2016 – The Highs and Lows of the VA Industry. Florence Katono, Principal Administrative Assistant at Bank of Uganda, Winner of Pitman’s PA of the Year 2015, International Speaker – Florence will be reading two poems which she wrote herself. Susan Leahy MA CSP, International Keynote Speaker, Group to Team – Roberts Rules Made Simple. Tae Lee, Founder at TRAVO – Audacious Travel Planning Tips, an interview with Debbi Shaffer. Eth Lloyd, International Speaker and World Authority on the Administrative Profession – Eth will be taking part in two sessions; An Introduction to World Summit – an interview with AAPNZ President, Alison McKessar and Let’s Talk about Breast Cancer – a conversation with Lucy Brazier & Debbi Shaffer. Bonnie Low-Kramen, CEO, Be the Ultimate Assistant, “Assistant Whisperer”, Bestselling Author & International Speaker – Bonnie will be taking part in two sessions; Why Women Need to Help Other Women Succeed & An Interview with Vickie Sokol Evans. Marion Lowrence, Director at The PA Hub, International Speaker, PA Mentor – Event Planning for Assistants – Panic to Perfect. Else-Britt Lundgren, Executive Assistant & Office Manager at Eli Lilly & Executive Chairman, IMA – International Management Assistants – Successful Networking – how to take care of other people’s power, experiences and energy. Andrea Macarie, Award-winning Senior EA to the CEO of Telefonica Alpha, International Speaker & a facilitator of Oxford Leadership’s “Leading Self” programme – The Game-Changing EA. Neil Malek, Microsoft, Adobe, Google, and other Software Training – File Triage: Working smarter, not harder in Word, Excel and Powerpoint. Anel Martin, International Speaker, Writer, Workshop Facilitator, Storyteller, Time Management Coach, Director Isipho Admin – The Connection Economy and What it Means for Us. Helen Monument, Office Manager & PA at Shell Aircraft International, Mentor, International Conference Speaker & Former European Chairman, EUMA – Have a meeting with GRETA (Group Results through Effective Team Action). Lisa Olsen, Co-Owner, Admin to Admin, Executive Coordinator Dignity Health, International Speaker, Professional Development Trainer – The Agile Assistant: Emotional Resiliency in the Changing Workplace. Sherry Parsons, Senior Executive Assistant Administrative Business Partner, Speaker & Master Instructor – Balancing Work & Life In a 24/7 World. Julie Perrine, Founder & CEO, All Things Admin, Administrative Expert, International Speaker & Trainer, Procedures Pro – Standout and Get Noticed With a Digital Portfolio. Gill Quirk, Senior Government EA, International Speaker & Co-Founder SW1 PA Network – The Very Real Benefits of having a Professional Network for You and Your Organisation (presented with Catherine Williamson). Rhonda Scharf, Professional Speaker, Trainer & Consultant who will get you and your company ON THE RIGHT TRACK! – From Admin to VA.
Julia Schmidt, C-Suite Executive Assistant at Basefarm, Speaker, Chairman at IMA Norway & Writer – Creating your Wellbeing Movement in your Workplace. Tammy Schroppel, Threat Assessment Practitioner, Safety/Privacy Consultant, and Private Investigator – Dealing with Inappropriate Communications. Chrissy Scivicque, Career Coach, Professional Speaker & Trainer – Build Your Professional Development Plan: A Roadmap to Achieving Your Goals. Dr Monica Seeley, International Expert & Best-Selling Author on Email Best Practice – Taking Control of Your Inbox. Debbi Shaffer, The Audacious Admin, Award Winning Executive Assistant, International Speaker – Debbi will be taking part in two sessions; Audacious Travel Planning Tips with TRAVO and Let’s Talk about Breast Cancer – a conversation with Lucy Brazier & Eth Lloyd. Chantal Sneijkers, Senior Management Support SBS Belgium & Executive Vice-Chairman, IMA – International Management Assistants – The Bridge To Growth – Assistants lead yourself! Lindsay Taylor, Director at Your Excellency Limited, Author & PA Trainer – The Power of Three. RoseMarie Terenzio, Former Executive Assistant to JFK Jr, Director, Kivvit, Founder, RMT PR Management. NY Times bestselling author, Fairy Tale Interrupted – Lucy Brazier interviews RoseMarie Terenzio. Peggy Vasquez, Author of NOT Just an Admin, International Motivational Speaker, Trainer, Coach and Chief Executive Assistant, Pacific Northwest National Laboratory – Developing your Inner Circle. Teri Wells, International Speaker, Trainer & Workshop Facilitator and Award winning Executive PA for Redefine – The Multiple Manager Manifesto. Catherine Williamson, Executive Assistant to the Bishop of Ebbsfleet, one of the three Provincial Episcopal Visitors in the Church of England & Co-Founder SW1 PA Network – The Very Real Benefits of having a Professional Network for You and Your Organisation (presented with Gill Quirk). and of course Vickie Sokol Evans herself. Vickie will be taking part in two sessions. One will be a technology session – Get Your Resume to the Top of the Stack – and the other will be a very personal interview with her partner in crime, Bonnie Low-Kramen. We hope that as we have kept the price so low, and the lineup is so spectacular, that you will buy your ticket and dip in and out as you see fit over the weekend. Full details of the subject matter for each speaker and timings will be circulated prior to the event. If you are unable to attend but would like to donate, please head over to the Audacious Divas site at http://www.audaciousdivas.org/vickie.html. Share details about this webathon everywhere that you can: via email, social media, newsletters, word of mouth etc. Every additional person that attends will make a difference! And they will learn plenty too! Purchase one of Vickie’s books on AMAZON. If you have Vickie’s book, please consider writing a review on AMAZON. Purchase Vickie’s On-Demand Class to train your teams. Encourage companies to hire Vickie to do a webinar from her home in Texas.